David Yurman men's ring from the Hex Collection. 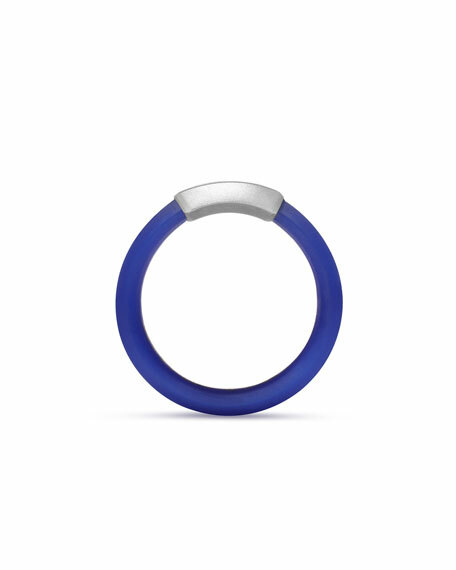 David Yurman men's ring from the Cable Collection. Polished 18-karat yellow gold cable band. Approx. 5mm wide. Made in USA. 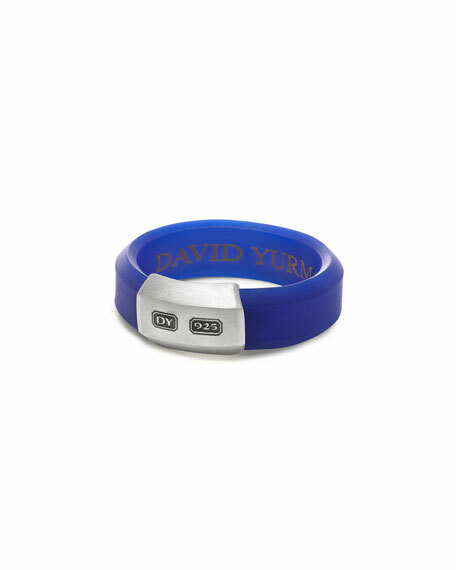 David Yurman band ring with cable inside. Approx. 0.2"W (6mm). 18-karat white gold. Imported. David Yurman men's band ring in sterling silver, from the Graphic Cable Collection. Cable black onyx cabochon inlay. Approx. 0.6"W (16mm). Imported.